Temperatures here have been around the 30 degree Celsius (about 86 F) for a few days, making for a warmer summer than I remember for the ones I've lived here. Thankfully, because our nights are cool, if I leave windows open until early morning, then keep them closed for the rest of the day, our house doesn't become too unbearably hot. 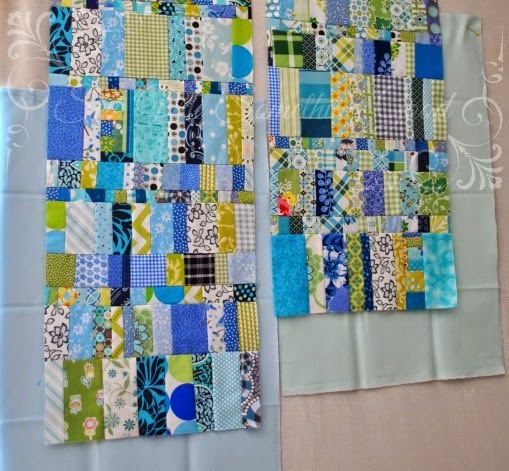 One of my projects awaiting a finish is made up from a collection of blue and green scraps that I randomly pieced together. 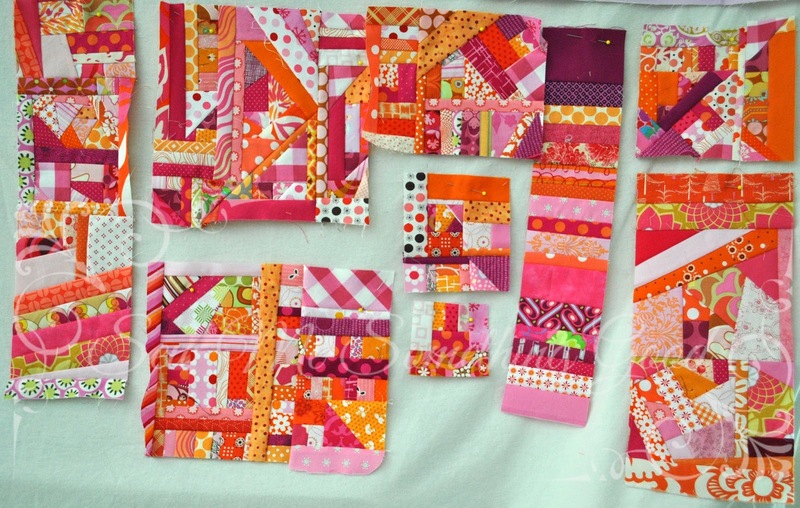 The patchwork pieces are pinned to my design wall waiting for me to decide how I want to proceed. One of the decisions concerns background fabrics. I've decided that using white would be too easy, so I pulled out a couple of Kona FQs to help me decide. Funny how a blue background makes the blue scraps stand out more and then a green background does the same for the green scraps. Either would work, I think. I'm leaning towards the green (as blue would be the next easy default colour for me to use after white ;o). Which do you like? I've got mine. Did you get yours? 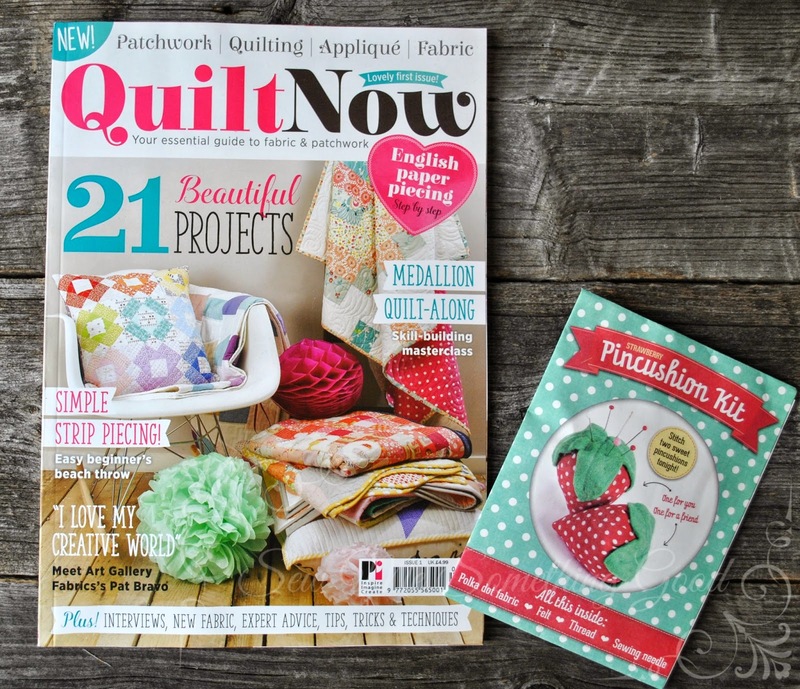 I was one of 100 lucky international peeps, that scooped up the deal (for free shipping) allowing me to get my grabby hands on the first issue of Katy Jones' Quilt Now magazine. What a lovely magazine it is! 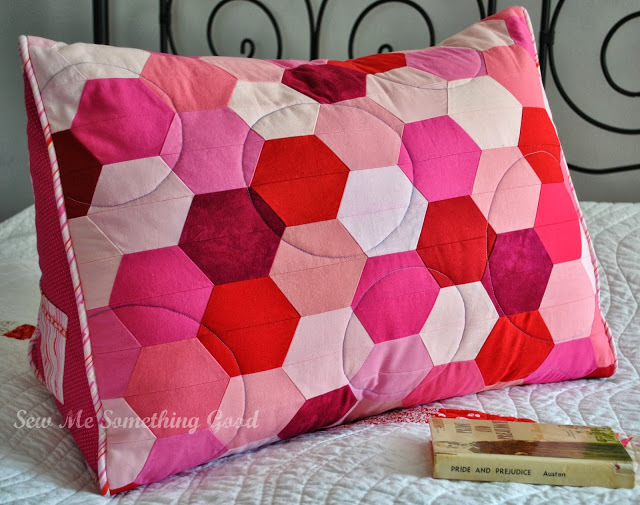 There are gorgeous photos throughout and projects (like the one above) that have me wanting to drop what I'm doing and sew, sew, sew. 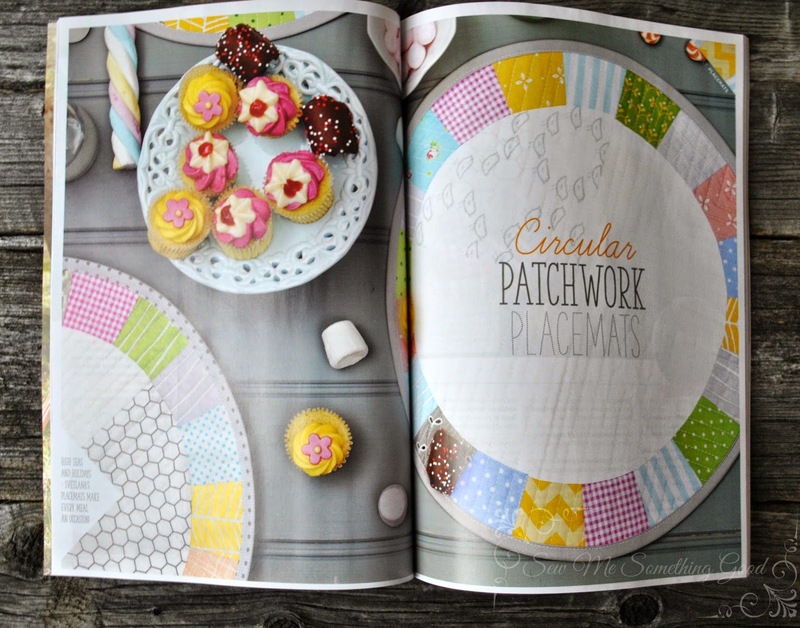 There's even a couple of sweet bonuses included with the magazine (besides the clever idea to have all templates and patterns printed full size on a separate large fold-out sheet of paper - much appreciated, Katy!). 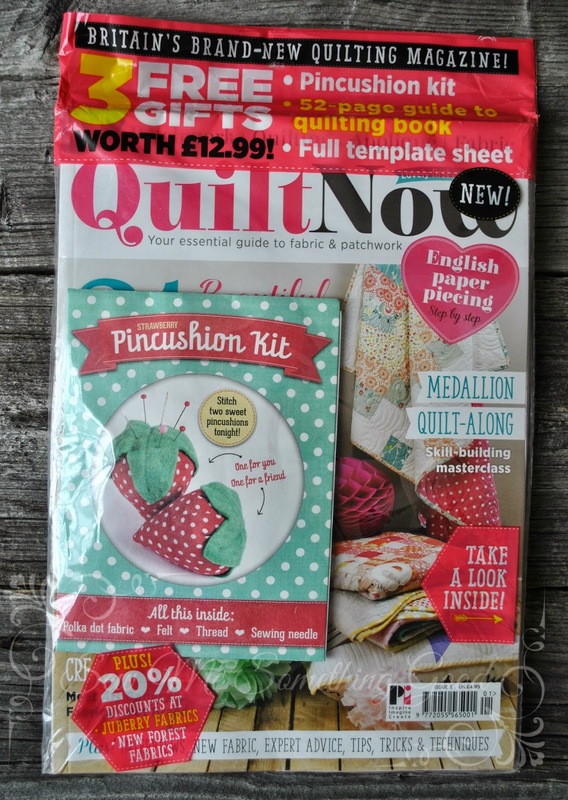 Check out the strawberry pincushion kit (above) and the handy reference booklet for quilting (below). 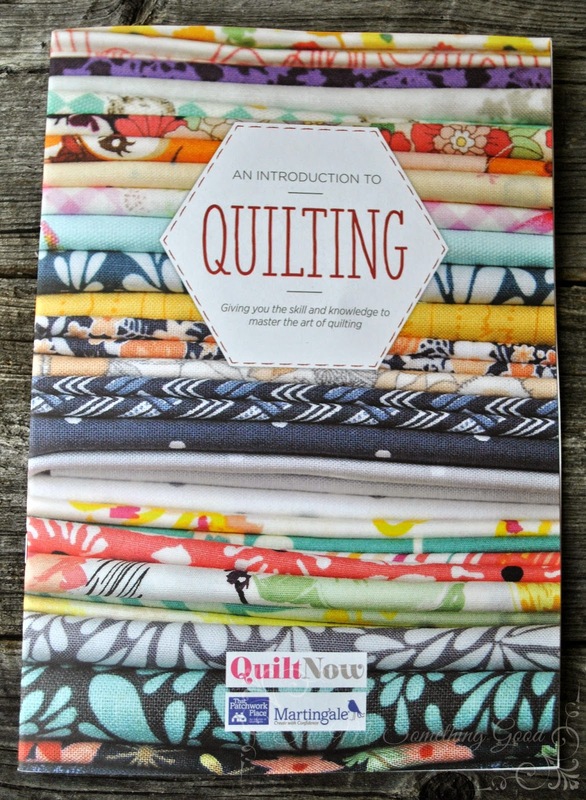 Congratulations to Katy and to all those working behind the scenes to make Quilt Now a success! Issue 1 is a beauty! Want to get your our copy? 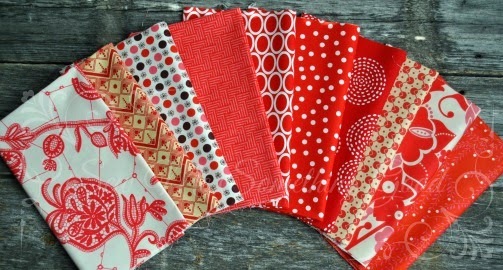 Go online to www.moremags.com or for those of us not in the U.K., go to Pink Castle Fabrics . 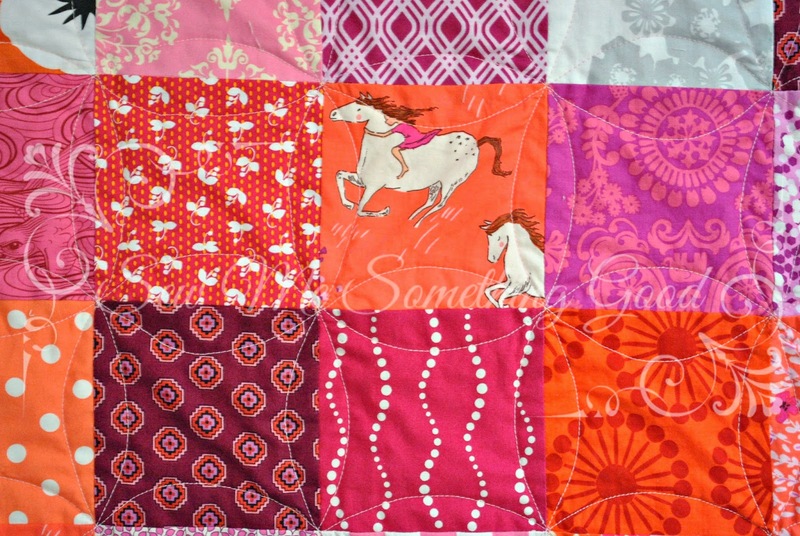 Remember the fabrics from this quilt? Some of the leftovers are being used for another project - but it's not a quilting project. Hello and welcome! 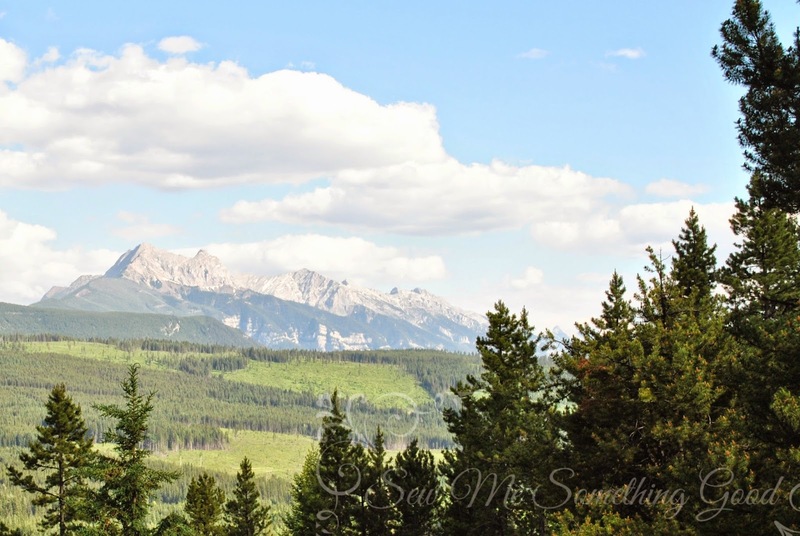 I am excited to be a part of the Sew Canadian sewing room tour. 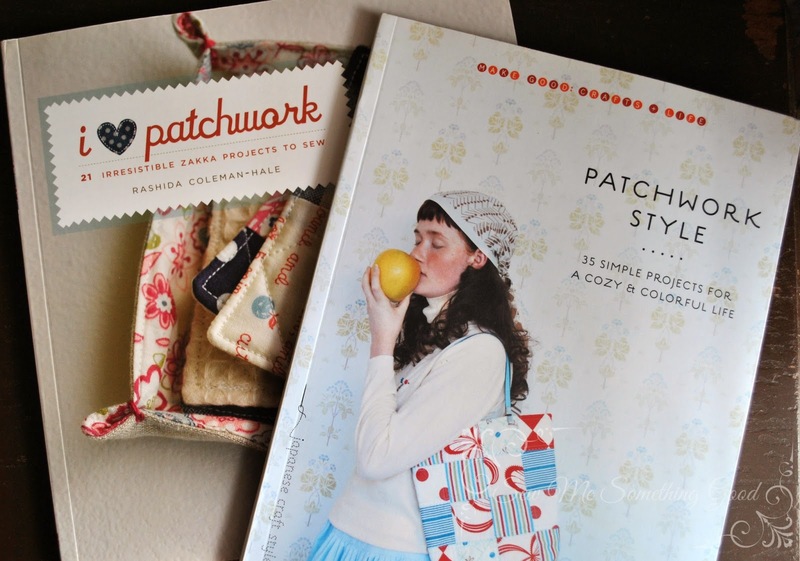 Every Sunday, throughout the summer, the Mad About Patchwork blog features the sewing studios of two Canadian bloggers (click here to see the full schedule). This is the fourth Sunday of the tour (wow, July went so fast!). I've been enjoying all the stops on this tour. 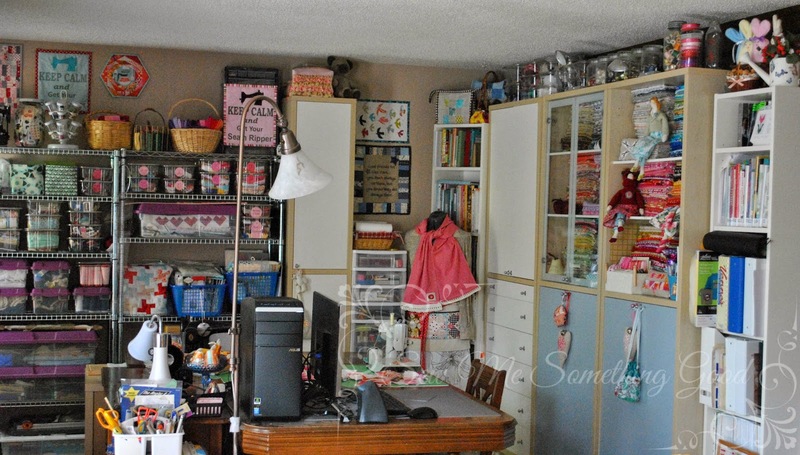 I love getting a peek at other sewists' creative spaces! 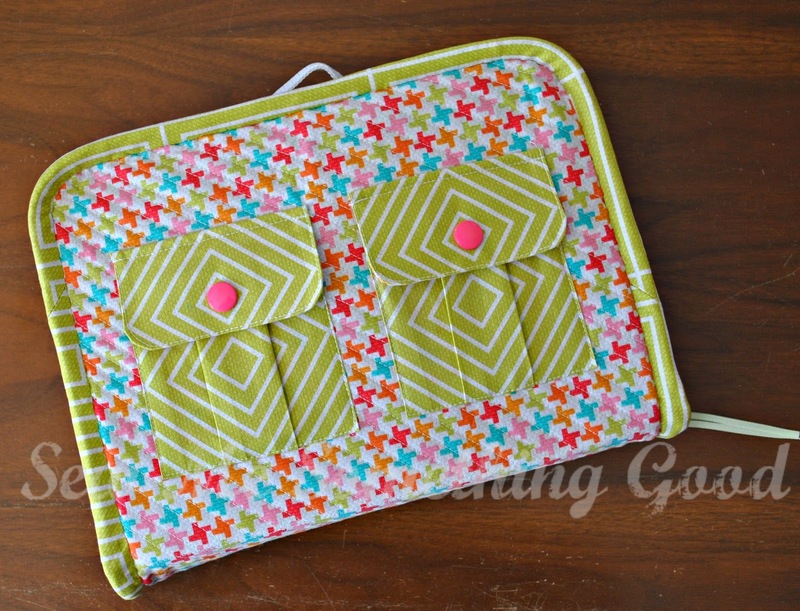 Today, I'm delighted to be sharing the day with Shena @Apple Pie Patchwork..
Did you know that YOU can join the fun, by sharing pictures showing where you sew? 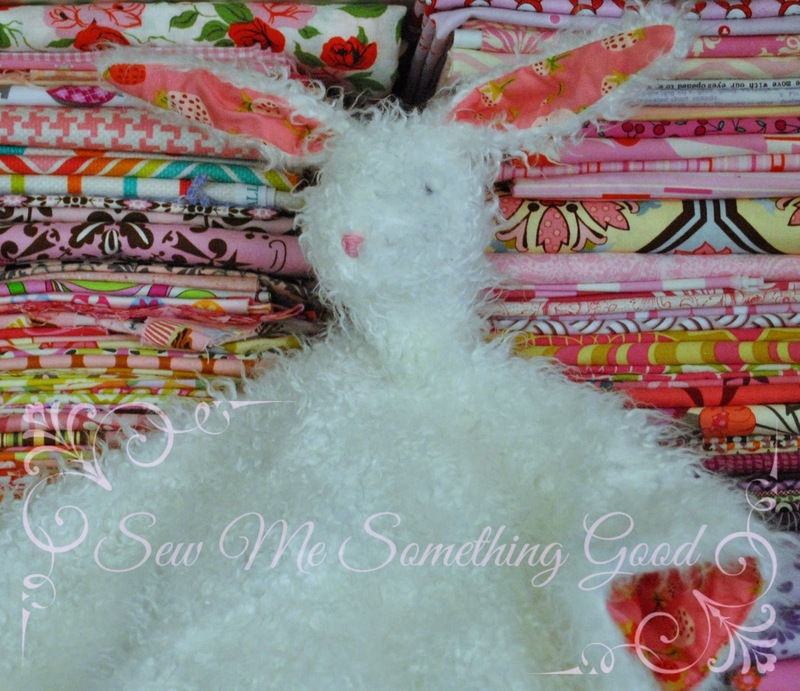 I hear that Pam has also generously offered to do two giveaways, both for an Ombre Sewing Studio Kit by Lorna of Sew Fresh Quilts! 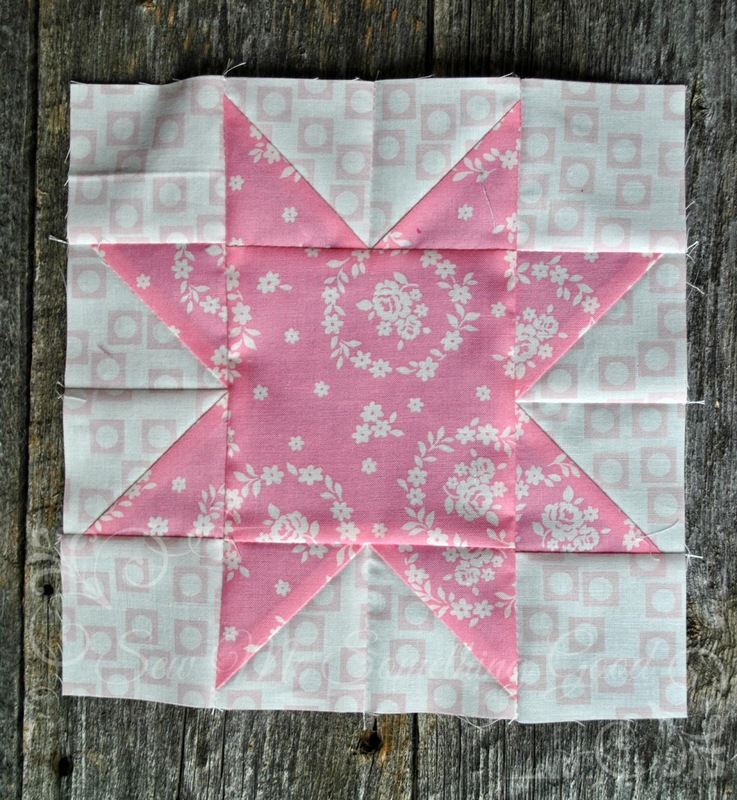 So please, make sure you add your pictures to the Sew Canadian Flickr group to have a chance to win (don't you think your sewing studio would love to have a Ombre Sewing Studio quilt adorning it? yes, it would ;o). On with the tour! 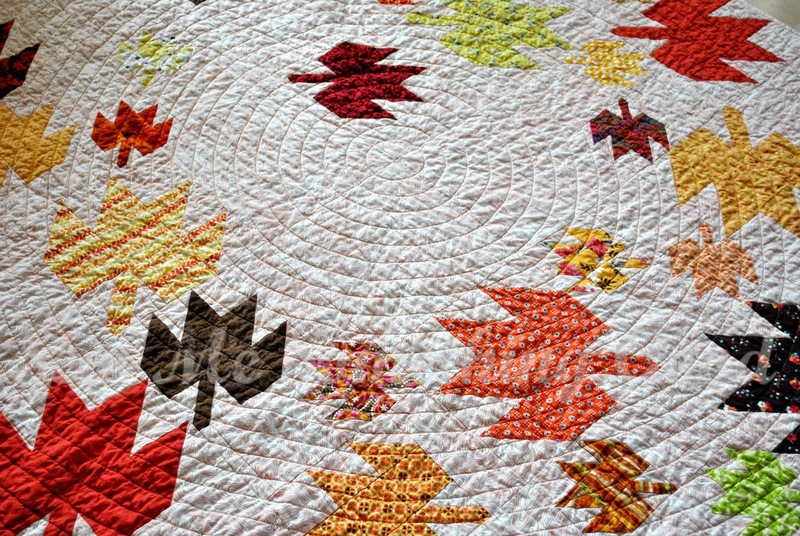 I couldn't resist adding a few more photos to the ones I shared along with the questionnaire on Mad About Patchwork today, in hopes that maybe my set-up or my ideas for storage will help or encourage others. With only 2 walls for storage possibility, I chose tall cabinets to make the most of the space with narrow bookcases flanking the units holding my fabrics and interfacing supplies. First off, let me say, that the set-up I enjoy today, did not happen overnight (here's a look back) and it is still a work in progress (note my cutting table is actually a dining table ;o). 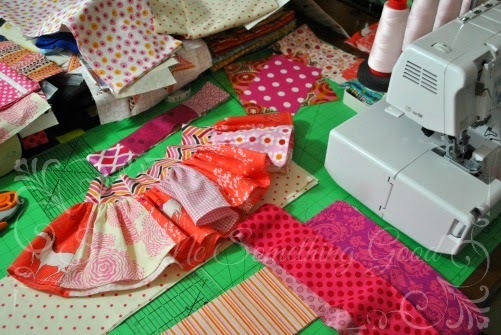 Although I've been sewing for most of my life, it's only in recent times that I've had a room exclusively set up for sewing. 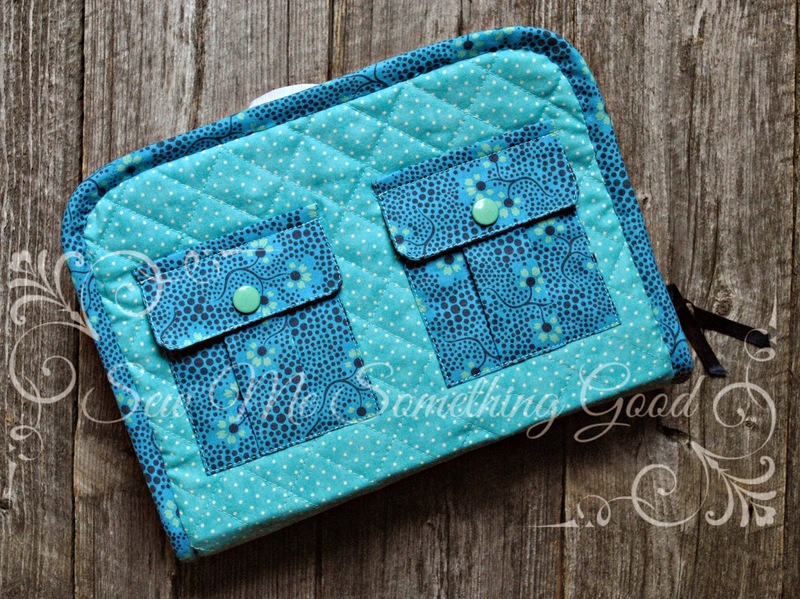 A few months ago, I designed a case (shown here), for storing a Rainbow Loom, which was a gift for one of my nieces. Turns out, another niece was already whipping up bracelets with her own Rainbow Loom, so it only made sense that she should also have a specially made case. Rainbow Connection Craft Case in aqua dots and a favourite Amy Butler print (from her Cameo line). Making my design for the second time allowed for a wee bit of tweaking, but for the most part, not too much was altered. 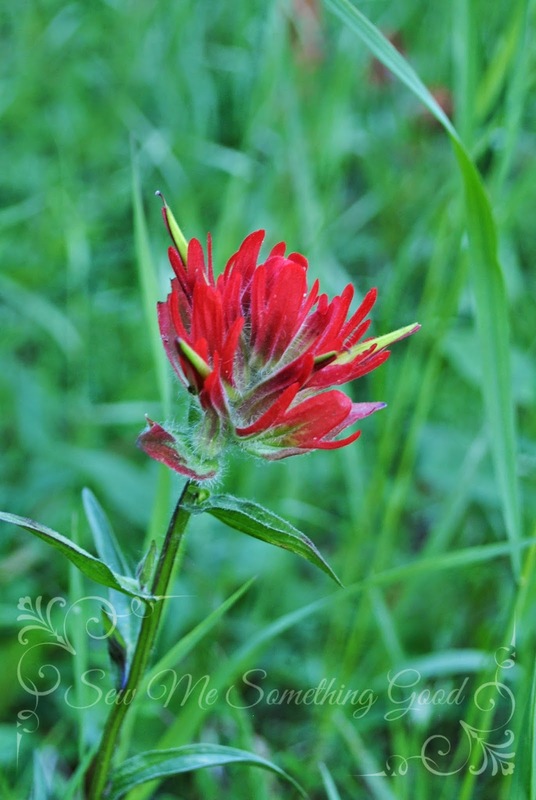 Have you ever felt like you were being rewarded for just keeping your eyes open? Well, I do! 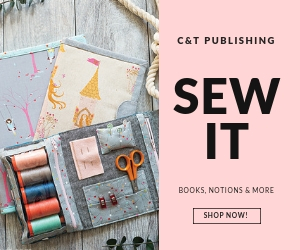 First there was the find of a $20 bill, while taking my exercise along a dirt path a few nights back and then yesterday I stumbled upon an advert for a couple of sewing books (titles that happened to be on my wish-list). Both books are in new condition, including the patterns - which were never opened. Then the seller mentioned she had a couple more books that she hadn't listed. Would I be interested? Um, yes, please! Two more titles that happened to be on my "someday I'd like to own these" list ( and rather coincidentally, just having been re-borrowed from the library for the umpteenth time this past Sat.). 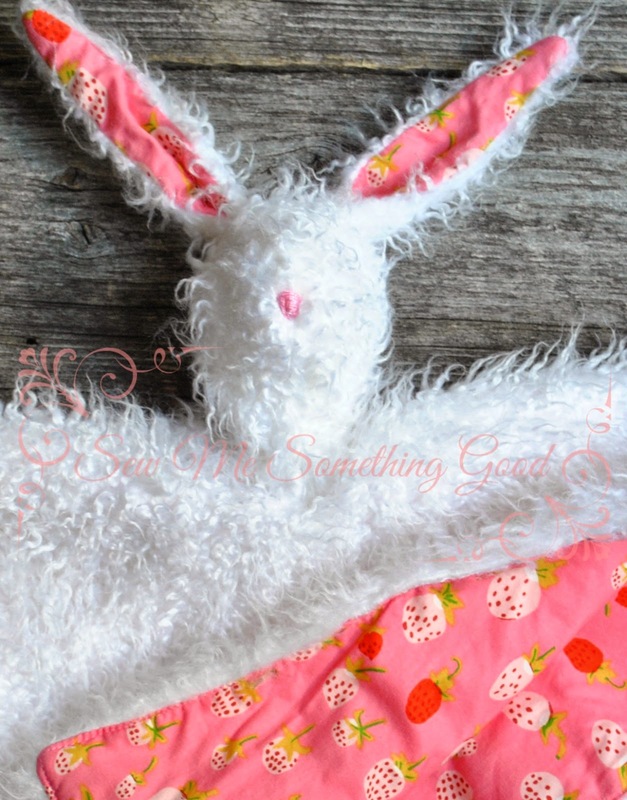 Recently, I stitched up a cuddly gift for a sweet little girl using fun fur and a bit of Heather Ross's Briar Rose quilting cotton. 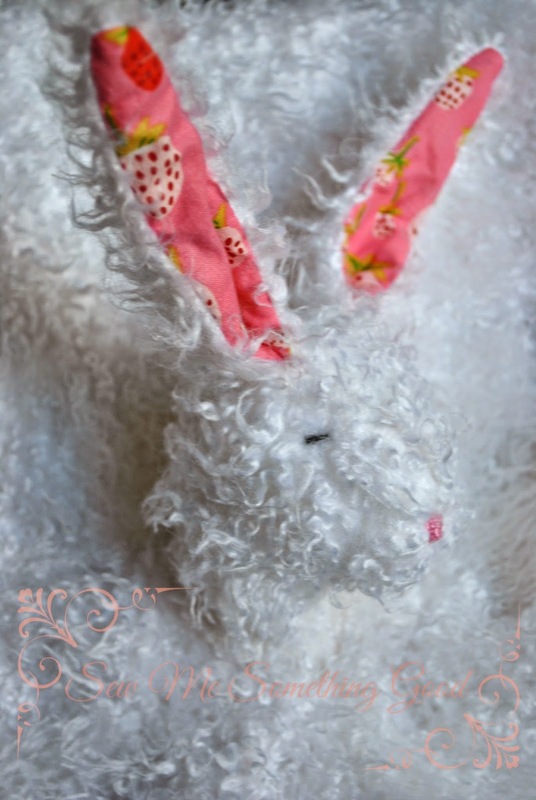 I chose to embroider the bunny's eyes to make him look asleep. 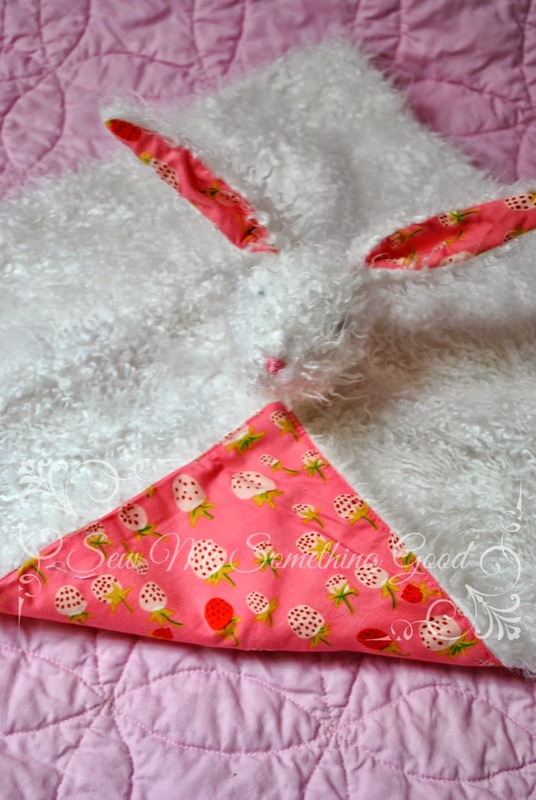 The pattern is a combination blanket/stuffie and can be found in the book Stitch Savvy by Deborah Moebes. 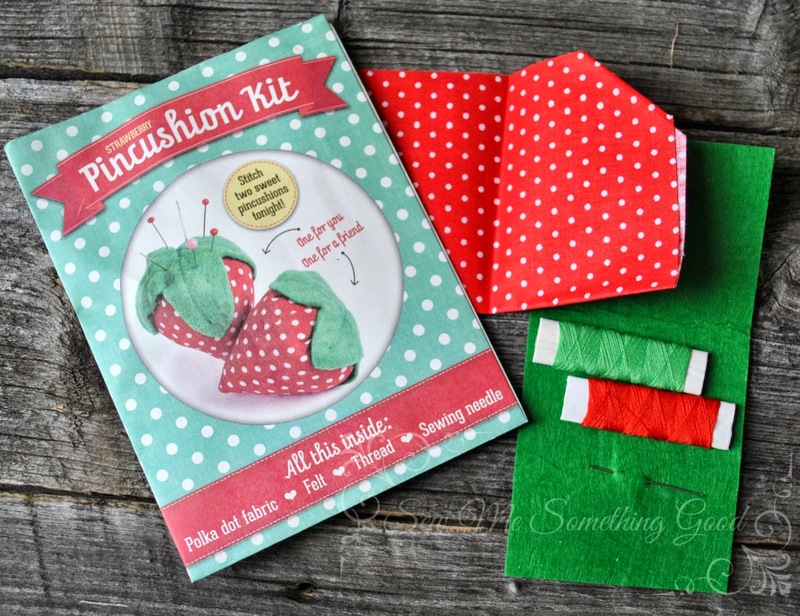 Such a quick and cute gift idea for a little one! It should be just right size for little hands to carry around, plus, with embroidered eyes and nose, no small parts (choking hazards) to worry about! 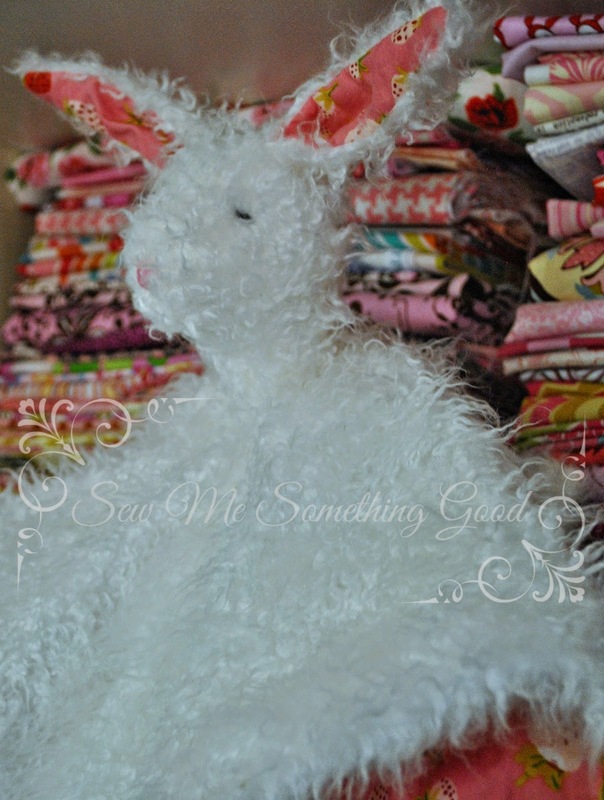 The sewing was easy, however, I do believe that my bunny's head is smaller than the one pictured in the book due to a typo. 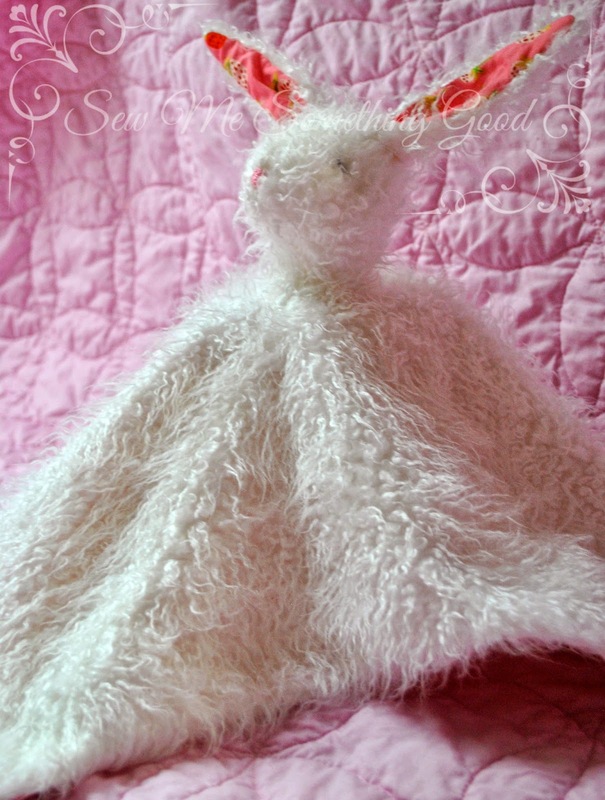 If I ever make this again, I will be adding seam allowances to the pattern for the bunny's head. Those ears are a bit on the skinny side! Still, I don't think a one year old is going to mind that her bunny looks underfed. ;o) I'm hoping she'll love the cuddle factor and maybe even all those pink strawberries - I know I do! 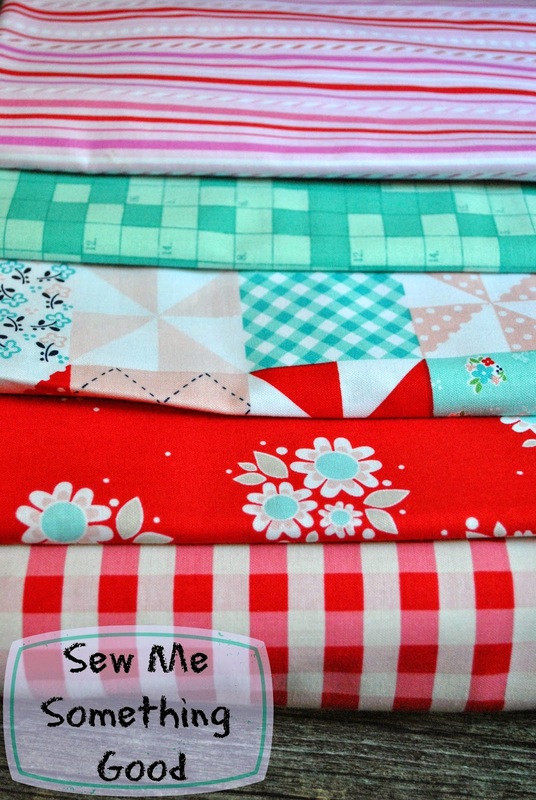 There seems to be a colour theme in my sewing space lately. top to bottom... Riley Blake: Sweetcakes; Moda: Bungle Jungle; Riley Blake: Country Girls; the bottom two fabrics are from Riley Blake's: Twice as Nice line. Wow! Now that your appetite has been whetted with all that fabric viewing, you might want ideas for how to store it in your sewing room. You're in luck! 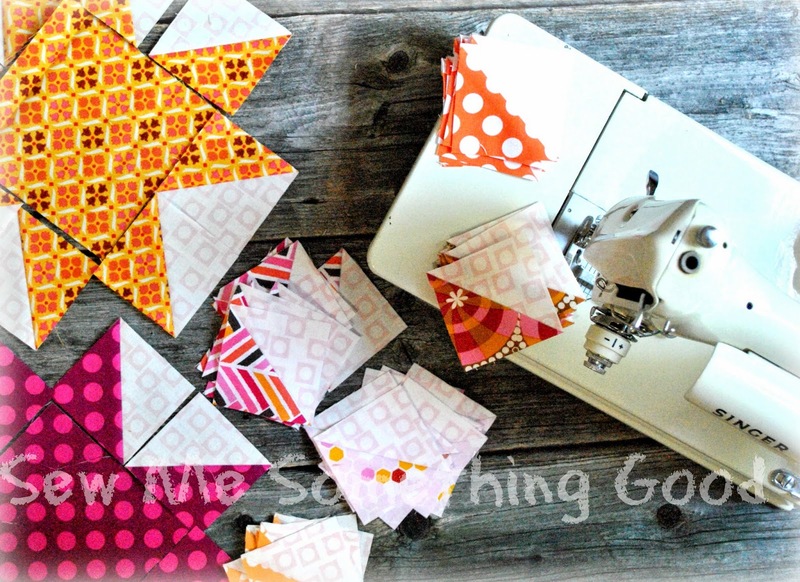 I did a tidy up of my sewing room this past week and came upon a stack of left over triangles from making my Swoon quilt top. 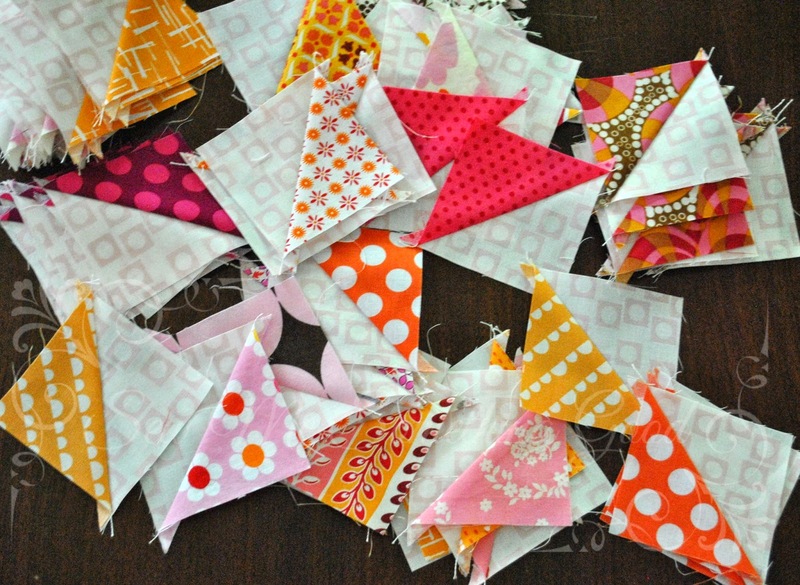 I sewed them into half square triangle units and began playing with ideas of how to use them. 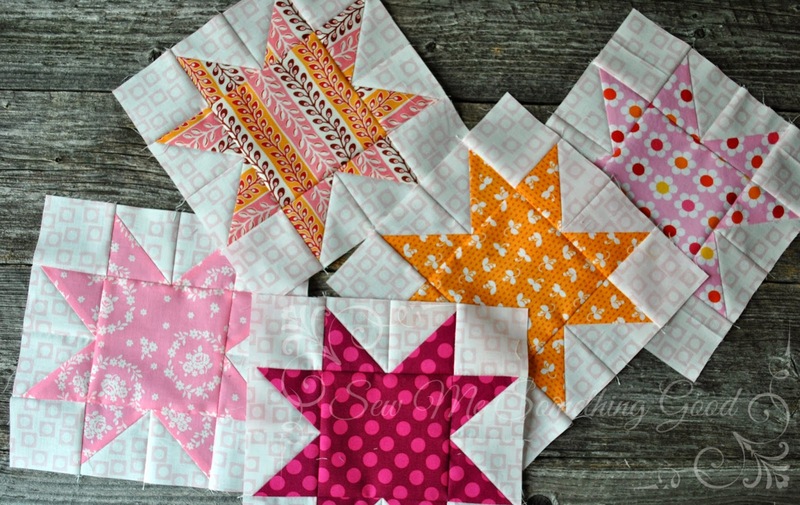 I laid out scrappy chevrons and diamonds... then realized that eight HST units from each fabric is enough for a star block. Finding enough fabric for star centers and more of the background fabric, decided things for me. 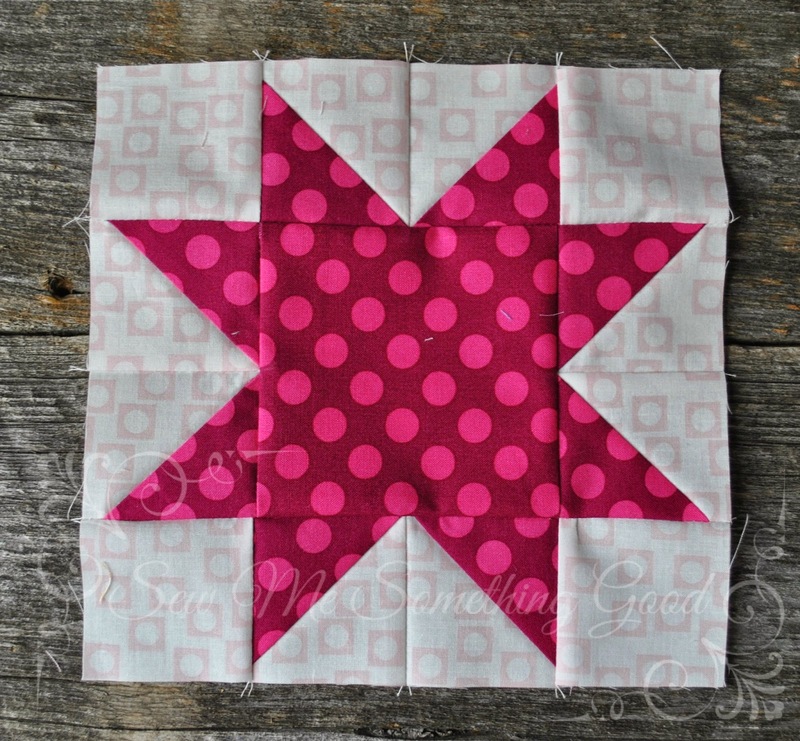 Saw tooth stars! 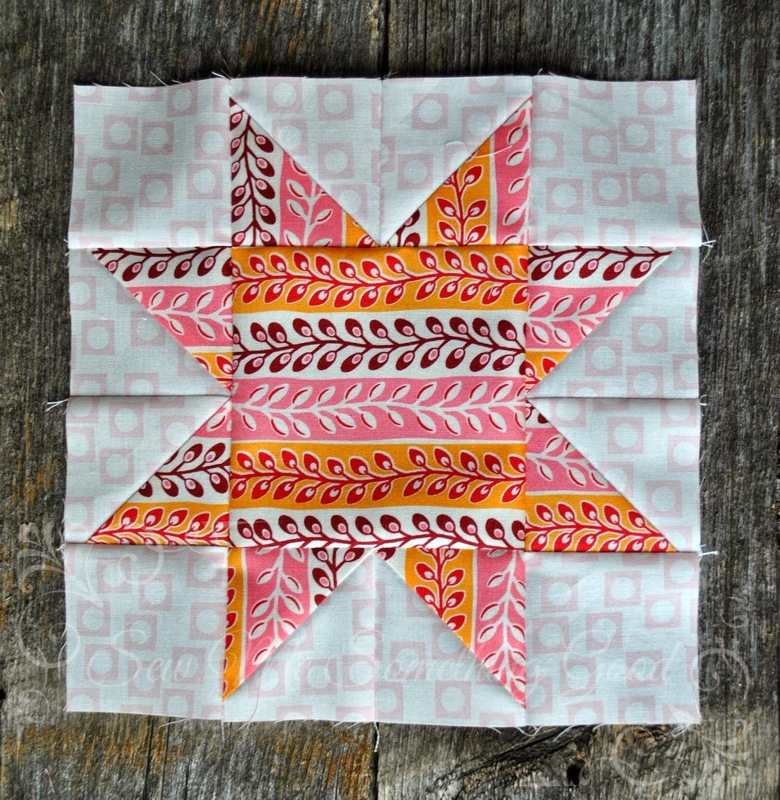 Thanks to the fun ladies at Mad About Patchwork, each Sunday this summer, you get to tour the sewing spaces of Canadian bloggers - with the opportunity to link up your own sewing space. 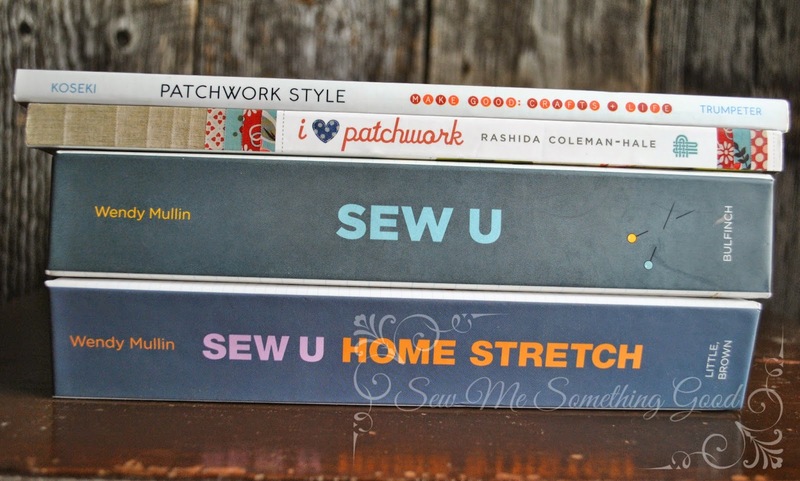 Mark your calendars for the Sew Canadian sewing tour and let's go visit the first two stops! 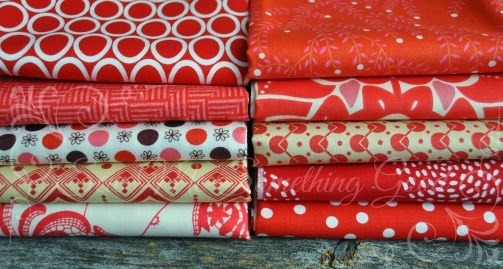 Today, I'm also puttering about with some leftover HSTs and one of my Singers. Wishing all my American friends, a Happy Independence Day! Wonder how you can save $ on some Wonder Clips? Have you seen the latest on Massdrop? 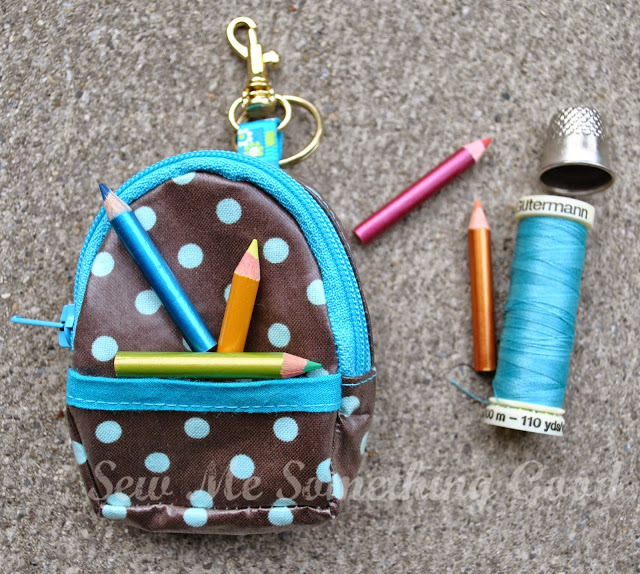 Check out this great buy, happening now for a pack of 100 Wonder Clips! 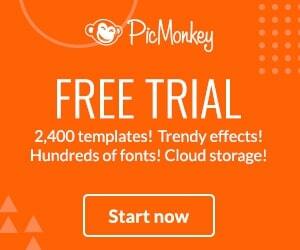 You don't want to miss this deal if you've been in the market for buying this handy notion. 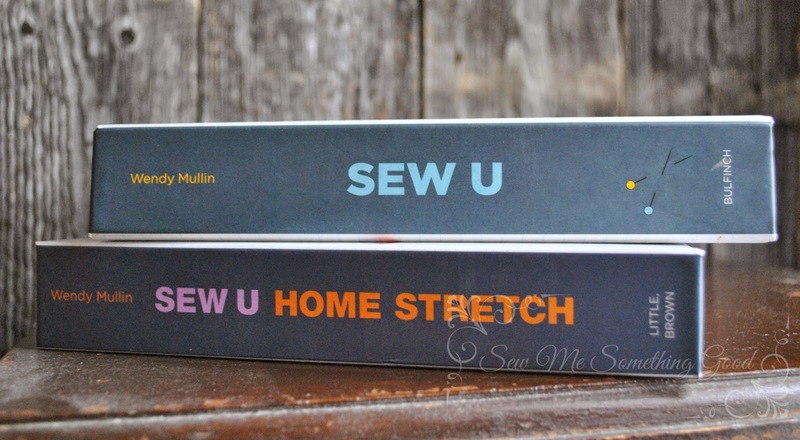 Ever since I first tried them, I was impressed - they are so handy to use for binding a quilt and for sewing other tricky items (like the bias binding I sewed on the Rainbow Connection Craft Case - shown below). 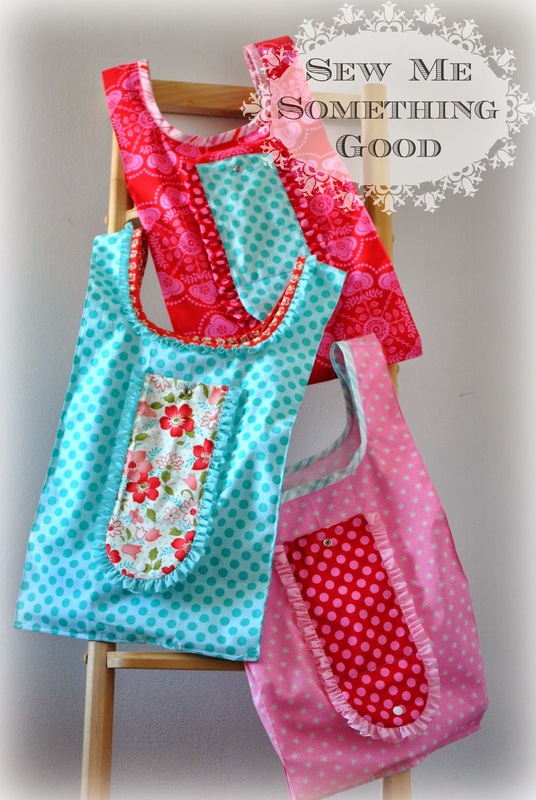 I've also used them when stitching bags or projects with vinyl or laminated fabrics. 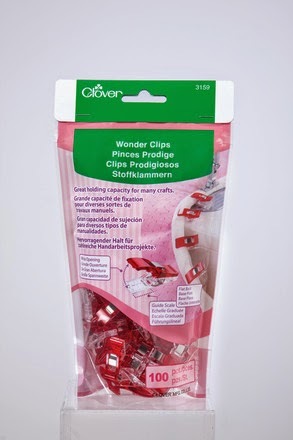 Lots of Wonder Clips were used in helping me sew the bias binding to the RC Craft Case I designed. 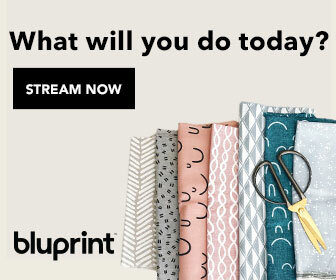 Of course there's more great sewing/quilting buys happening at Massdrop... (such as some Lotus fabric!). Plus, there's also products that are still in the voting stage (such as EQ7 - please go vote if you're interested in saving $ and want to buy this software). Another great thing about Massdrop is that if there's something you've been wanting to buy and you don't find it already amongst the choices offered, you can add your suggestion, or start your own poll for that product. I've done both. 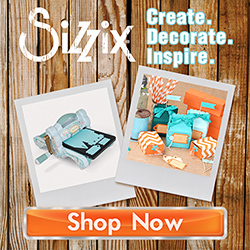 I've got a poll going for some basic shape quilting dies for a Sizzix machine (click here) and I just added an option to a poll already underway for some Cotton + Steel basics (click here). 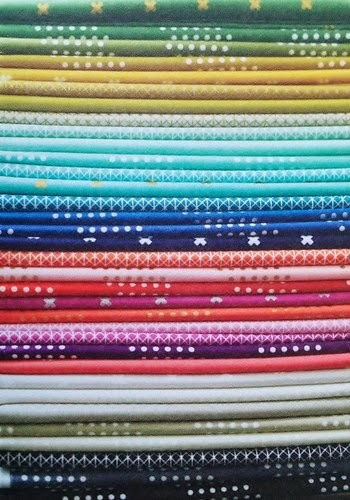 Isn't this bundle of basics from Cotton and Steel gorgeous? I'm keeping fingers crossed that enough votes will come in so that we can get this bundle! Spread the word about Massdrop. That way, we can all start saving $ on the things we want and need. 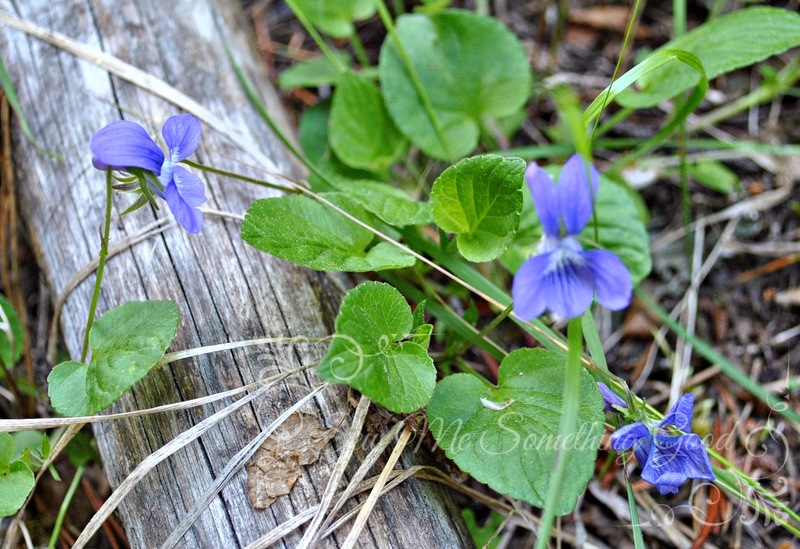 I am always refreshed by time spent in the outdoors. to enjoy the most beautiful day in Nature, hiking. There were views to be enjoyed, tranquility to be savoured and the over riding joy of simply being with loved ones. 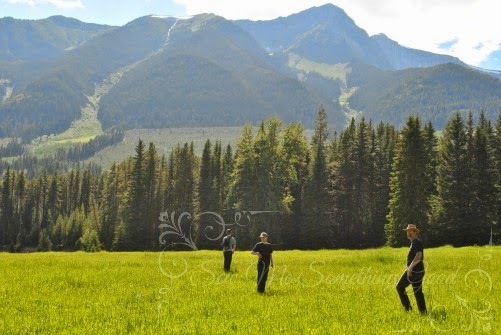 Just prior to this photo, our oldest son (jokester that he is), spread his arms wide and began running across the meadow, teasing me with the lyrics from the Sound of Music. Of course in about 2 seconds, he then burst into laughter! Never one to miss an opportunity, I schlep along beyond, wielding my camera. I captured shots of my menfolk walking across fallen logs to cross creeks and candid shots of their smiling faces making the most of a much needed day away from it all. 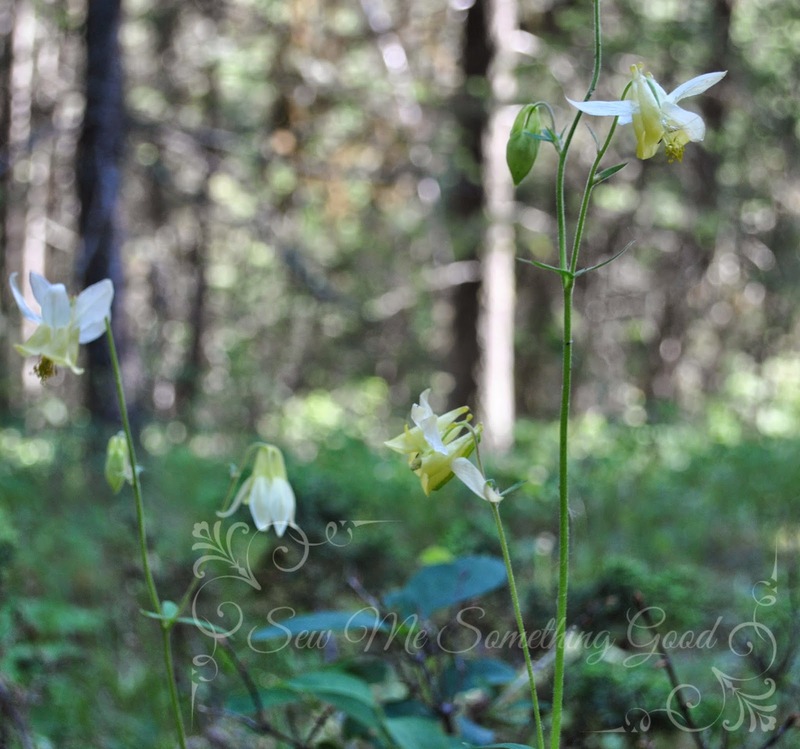 Oh, and there were pictures taken of wildflowers. I can't think of a better way to celebrate the day and the wonderful country I get to call home. I hope all my fellow Canadians enjoyed a joyous day!